READ IT; BELIEVE IT; THE FACTS SUPPORT IT. Growing up in the Bui, the North West region of Cameroon, it was necessary to have a father, elder brother, uncle or relative who was feared or revered by the community. The reason is simple. As children, whenever there was some discord, our first reaction was to rush to any one of these authority figures. We expected from them a better sense of justice. More precisely, we expected justice to be some form of revenge. Sadly, however, whenever relatives intervened in conflicts concerning their children it turned out that their objective was hardily to determine who was right or wrong, but rather generally to defend their sibling and impose an aura of respect for themselves and the family. That being the case, it was a situation where power was always abused in favor of a relative irrespective of the facts. Blood relative authority figures constitute a strong fabric of the Cameroonian and African societies where education, public administration, and business are all affected by informal or non-institutional authority figures who – at will, intervene to defend their subjects and friends regardless of what the law says thereby fundamentally bending the curve of justice which of course does not render justice but rather a reduction of conflict resolution to the Hobbesian level of might makes right. When I arrived in America, I was delighted by the justice infrastructure and Americans’ affirmation of the precept of the rule of law. But one thing remained very similar to the backward nation [cf. Trosky] where I came from; it is the unending tendency to call an authority figure who would intervene in one’s favor irrespective of the facts. In America, it is the police. The similitude is strikingly strange and embarrassing. 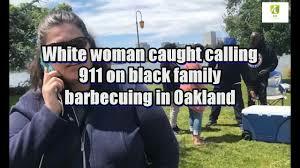 In almost five years in America, all the cases I have seen are often whites, sometimes Hispanics, calling the police against blacks who walk on the street, sit at a coffee shop, sleep at a school dorm, or who play in a park while barbecuing. My observations reveal to me that white Americans see the police as being exclusively at their service. The police are not necessarily seen as being a government entity there to intervene as representatives of state power. On the contrary, police officers are seen as authority figures who are expected to identify with whiteness and who are mandated to protect white interests and who are to respond without question to the beck and call of any white person to teach none whites a lesson. 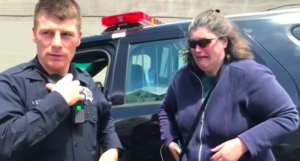 And the police, whose response confirms the emotional sympathy they have with the callers, often side with them if they are white in relation to Descendants of Slaves or Mexicans, or Asians, or….you know what I mean. And the burden of proof – of innocence, falls entirely on the accused victim…you know what I mean. Therefore, once the police are called on a none white person for sleeping at a school dorm, the police never interrogate the caller to find out if the accused is a student, if the accused is disruptive, if there are no institutional measures inside the school to handle the issue, if any law was broken. No. It becomes the fault of the one ‘innocent until proven guilty’ of ‘taking a nap’ to prove their innocence. The failure by the accused to prove their innocence on the spot may result in the loss of their life, felony charges, disobedience, arrest, distress etc., while the one who called the police with no reasonable excuse goes free, skipping off in white supremacists la la land to call again another time and not even given a warning as one would give to a child to be careful next time when calling the police because someone could get killed. Whites and others who believe they have social equity close to whites such as Hispanics, Asians, and Arabs take upon themselves the responsibility to call the police whenever they feel some anxiety while in the presence of Descendants of Slaves; this is the case especially when they work for white businesses or in the justice system. They know their job is to protect the white man’s assets. The police, whose role is to protect individuals and property know very well that blacks have little or no property. And since the value of the individual increases or decreases depending on the property equity he or she has, blacks become more vulnerable since they have less or no assets no protect. Yet, again, we are told that the society is not racist. And if the police are called because someone ‘believed’ you had a gun, you risk losing your life and no one would be held responsible. The caller is always right…that’s the presumption. It appears that the police are simply an offshoot of a white supremacist society institutionalized to defend the interests of those who have created the justice system. Their role is to help maintain it while the callers play the role of informal police power extension in our neighborhoods and schools. Thus, I am in danger. Not strictly from the police. I am in danger more particularly from my white neighbors, business operators, schoolmates or street people. All around me, I am in danger of untimely death or the certain high probability of arrest, incarceration, and humiliation. Here, Mullah Sadr makes the point about the First Intellectual Journey. He does so with a simple premise: “He is of those of creation.” That we are ‘of those’, i.e., all life forms created, is self-evident. We are symbiotically related to all life forms on earth and maybe other life forms on other living or dead planets. An aspect of our existence is a mixture of atoms, molecules, and bacteria. That mix of biochemistry culminates in the development of our central Nervous system. It is structured to develop outwardly and to experience by mediation outwardly three-dimensionally, i.e., spatially and temporally; it is not developed to know immediately- inwardly extra-dimensionally. Secondarily, that we are of this creation is self-evident because we are literally dependent upon minerals including certain gases for nutrition as well as upon sense impressions by means of which we orient our bodies by time and in space. Intellectually, we are dependent upon sense impressions to form concepts of things we symbolically identify in our environments. Language is the greatest example of our symbolic life of the mind. We each have different orientations in the world. That is so because our sense impressions are different and limited by varying degrees of personal sensitivity. We are thus hampered not only by blurred vision and inaudible sounds but also by correspondingly vague conceptual clarity. More often than not, that results in defective reasoning and judgments. We find it very difficult to agree on almost every other persons’ description of nature. We are always in need of some extra technological assistance to artificially light the path before each step we take. We are never certain about our circumstances. We literally do not know ‘where’ we are let alone ‘when’ we are. So, we improvise measures of time and space and pretend by consensus to be oriented rightly. But generally, we are not oriented rightly. Neither do we know the nature of our origin in the world. Did we originate chemically here on earth? Did we originate chemically on some other planet? Did we originate chemically in some remote region of the solar system or galaxy? Is our soul an epiphenomenon of our biological birth into the world? Or did our soul get infused into the world extra-dimensionally in an immeasurably short moment when the forty-six chromosomes from our parent’s paired and united? The Quran answers paradoxically both yes and no. We are from water and we were thrown down “…Radadnahu Asfala Safaleen رددنه أسفل سفلين””. We are both light and darkness. That being so, was our conception by chance or was our conception predetermined? We don’t know the answers to those questions and it may be logically impossible even by use of our most advanced scientific methods to discover the answers to those questions because we cannot follow the chain of causality back in time and space to that moment the material universe came into being. But this we do know. This sphere of creation has a degree of luminosity that is very low and which is dependent on power sources we call stars and atoms or technology. It is a place that is analogous to a ghetto street lighted by a dim lamppost because within this four-dimensional place we are not in the Light of Reality. As we move farther from the source of light we are increasingly surrounded by darkness until darkness becomes impenetrable. It is impenetrable darkness because we are away; we are not in the Perfect Unchanging Present Tense Existence. Mullah Sadr alludes to that by the phrase: “… [therein] His Presence is Immediate…”. 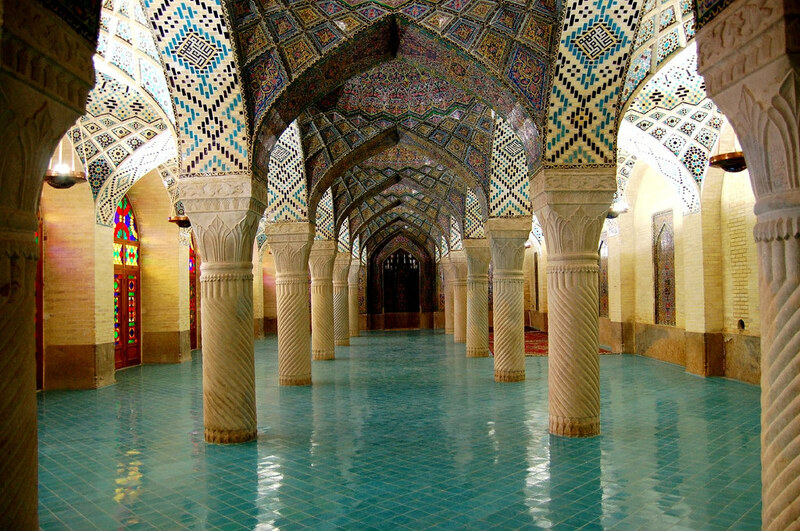 Yet, though we are repulsed to a lowly state, we are simultaneously attracted to Allah. Thus, we are driven by our attraction to Allah to journey to the Reality out from this fractionalized place but not physically, rather extra-dimensionally by and through our minds. Therein lies the purpose of salat. Salat is the mind’s means to Allah. We are surrounded by dark matter shrouding dimly lighted stars. Over spans of time in billions and maybe trillions of years, trillions of stars are born, flicker for a moment in comparison to the age of the multiverse, then they burn out. Our vision is turned toward the edge of nothingness. We make our way in what light illumines the path before us aware that we are always stalked by dark shadows. We are terribly isolated, alone, unconsciously insecure, and in fact, with most of the time spent in our lives, we are quantitatively more autonomic than conscious. A better question for us to ask would be: ‘Now that I am here, what should I do?’ There is an explicit moral implication in that question. First, it is self-evident, we are in this earthly sphere because we are an ongoing effect of it in it. We are an effect of an ongoing complex chain of non-linear causes. We each carry the impress of those causes in our bodily chemistry. For example, we are more bacterial than we are cellular. In relation to our environments, we continually receive its impressions as does a soft substance being continually cut by a harder substance. Outwardly, we mirror many of its characteristics. We are often fooled into thinking that our mirror image is our identity. But our physical body is not our authentic identity. 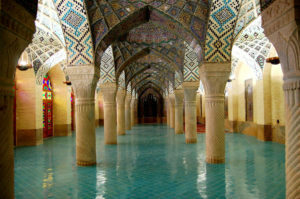 The body is literally ‘unconscious’, but paradoxically it is also a pathway or tunnel that leads out of the body because but for our birth into this world we would have no chance to, as Mullah Sadr states, “…gaze upon the Seal of Existence…” If men and women remain physical, then they remain as unconscious as all other things around them for a time. Then they die. Death means absolute impossibility and thus non-probability. Mind or Soul, separate from the body, is our authentic identity. But we have no guarantee that we will become a free mind or soul. The body was born into the natural world simultaneously living and dying; simultaneously being and not-being. But mind or soul can live forever in the unmixed Light of Allah. Eternal life is the act of thinking in extra-dimensional consciousness if the soul can as Mullah Sadr said: ‘course the pathway’ out of this world. This outer sphere of creation is resistant to Divine Light because it inheres a necessary privation due to its grade in the creation. Thus, here, we generally experience a low emanation of Divine Light through our minds. Here, the ‘…Seal of Existence…” can only be known partially or in a narrowly framed consciousness which is heavily shrouded in sensation, perception, and reasoning. 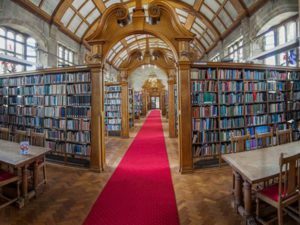 All three faculties preempt certain knowledge (ilm-ul-Yaqin) of Allah but such faculties are at the same time necessary for our orientation in and through our experience here. We were born along in a biotic stream into this sphere of existence by chance and set afloat. We assume the form and characteristics of this four-dimensional creation as a stream must assume the shape and contours of the banks it courses through. We are both in the biotic stream and of the biotic stream. Our burden is to struggle against its unconscious power which is both in us and around us. We were born with the potentiality to autonomically develop the anatomical skills necessary to live out our natural life to its term. We were born with the potential to react automatically- biologically, emotionally, and imaginatively to things and life forms around us. We were born with the potential to rationally categorize sense impressions, to form concepts, and to make logically derived judgments about the relationship between things in space and through time as well as to form mental concepts which permanently signify things in our minds. We were born with the inherent potential to construct and participate in a virtual reality of mind shared by and with potentially unlimited numbers of other human beings. For some souls, it is the first step along an Intellectual Journey that will consciously lead them to the Beatific Vision of Allah. The Autonomic Nervous System; both sympathetic and parasympathetic. Add the time you sleep to the time that you are reacting instinctually (unconsciously) then compare that sum to the time you are conscious. See the ratio of sleep to wakefulness. We are sleepwalking most of the time. Tragic days of loneliness and poverty lay ahead for females who are descendants of slaves. Tragic because most of them have been set up for elimination by their government. That should come as no surprise to anyone because we have always needed to live with more suspicion than others that government will eventually and intentionally wrong us all. But the suffering of black women is compounded by betrayal. Betrayal, by grandsons of the males with whom their grand- mothers shared the hull of slave ships; by grandsons of the men their grandmothers stood next to while sharecropping throughout the south; by grandsons of the men for whom their grandmothers wept when their manhood was stripped from them; by the grandsons of men their mothers wept for while they were being lynched; by grandsons of those men with whom their grand-mothers stood beside in righteous struggle. All have turned their backs on black women today. The betrayal by those black men is both emotional and physical. But even worse it is the chorus of disrespect from those same men which penetrate deep into the psyche of black women and kills the soul. It’s not as though even some of their experiences in the United States have been happy. Happiness has always illuded African American females in the United States; if happiness is the fulfillment of desire, then there can be no happiness for black women in the United States. It does not help that many black women show their near-sightedness by lending so much effort to tow a line for fly by night white feminist movements or organizations. From those which have an LBGT agenda to those which use black women for neo-liberal or right wing conservative agendas, after the ‘movement’ after the ‘demonstration’, the average black women will go home to their impoverished neighborhoods while the average white women will go home to security, opportunity, and wealth. Even for those groups which exploit their adoration for God, black women have been the forty-mule team pulling the political cart for others. The ironies are that 1) none of their support for white groups will convert to dollars and cents for them when they need it. It never has. And, 2) fewer and fewer African American women are able or willing to expend the energy to cooperate with a man to tow a family line. Nevertheless, for their sake, the fact book must be opened. We cannot turn our faces away from the pages which describe future political betrayals and the resultant fallout which will be their shattered lives. My words are taken from a page in the fact book. My words describe an unhappy time; it is what the facts on the page compel me to write. At this late date, the range of alternative paths leading black women away to a better situation in the future has become as narrow as a pin head. That makes me think trouble for most black women is inevitable. Let me lay out some facts. A large percentage of up to 60% of African American women will be on the verge of a catastrophic economic collapse by the year 2050. 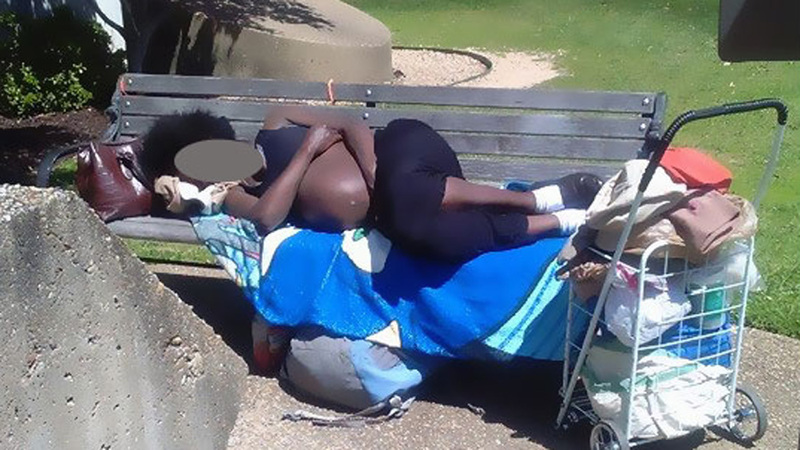 They will face homelessness in their old age, poor health, a steep decline in their individual life spans, and a consequent decline in the average life span of all African American women. There are many reasons to conclude that what is instore for millions of black women will be a greater social challenge than that of the African American male incarceration rate in the 20th and 21st centuries. It is a problem we can clearly see as one would see a storm on the horizon. Like a growing storm, we can see the growing dysfunction of the New Deal Social Security safety net implemented by the Roosevelt administration in 1936. The Social Security administration has announced that by 2034 it will no longer have money to meet the needs of people retiring at the age of 65 and over. 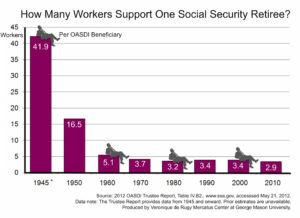 Fifty-three percent of the retirement age population depend solely on the guarantee of receiving a social security check to live on after they can no longer work. But that guarantee is in jeopardy because the vault is empty. There will be no money for 5,942,385 Generation X and Millennial Black women 64 to 84 by the year 2034. They will need social security benefits to survive in their old age. There will be none. 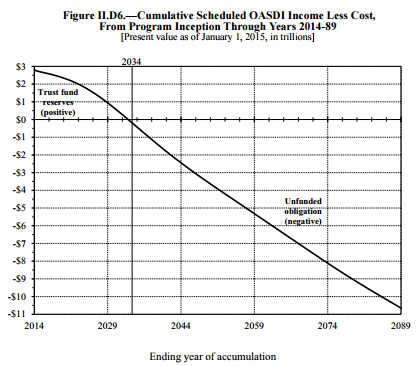 It is projected that the social security administration will go unfunded to the end of the 21st century. But this coming social catastrophe will not have arisen out of a vacuum. As of 2010, 61% of African American women were not married. 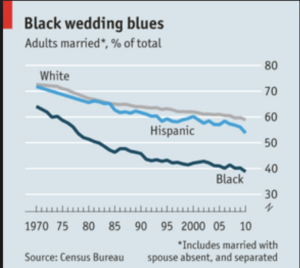 That is the lowest ethnic marriage rate in the nation. 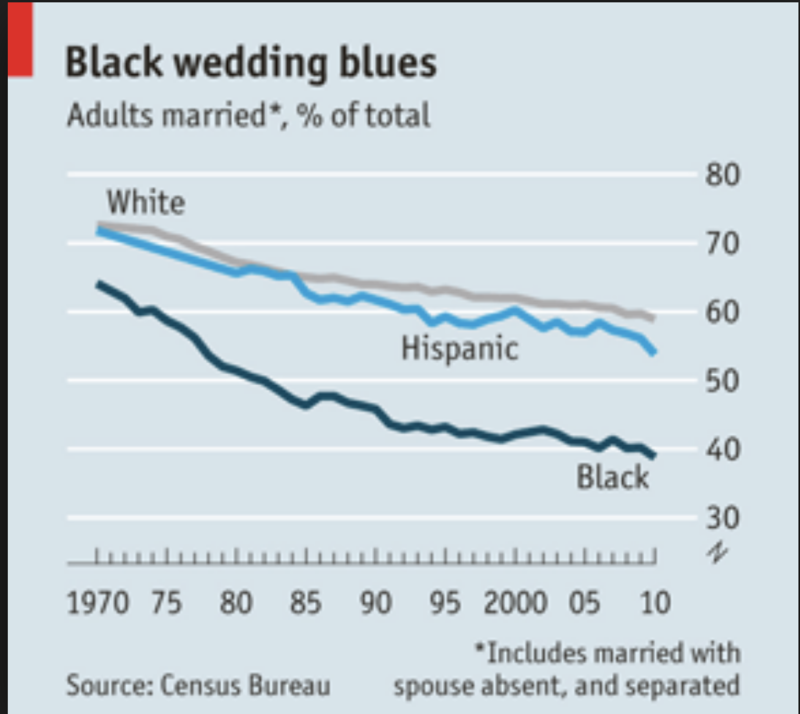 The downward trend in marriages between black males and females will continue. In 2050, the majority female Descendants of Slaves will be unmarried. Most will have never been married. Most of them will never marry. The same will hold true for Descendants of slave males. Generally, that will translate into further economic and emotional instability. It means many who live long enough to reach 65 to 70 years of age will be too weak and old to work. They will be alone because they will not have the emotional, material, and moral support of a husband. 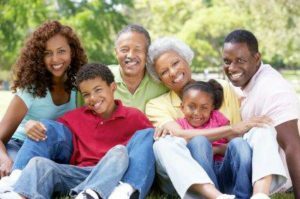 A recent study released by the Federal Reserve Bank highlights that only 18% of black families have two earner households. That fact makes it clear that most black women can’t save money. Therefore, Black women will not only be alone but they will be without money. Many black women will be on the street; they will be reduced to begging. No one will care. As of 2012, the total fertility rate for African American females was 1.8. Compared to Asian Americans at 1.6, that is close to the lowest ethnic fertility rate in the nation of 1.3. A very large number of black women will have no children or will have had only one child by 2034. Probably, that one child will be financially unable to render support for their mother. What it means is that there will be no extended family support network for most black women. For over 150 years, African American women benefited from having strong extended family networks which included husbands, sisters, brothers, children, and grand-children, and cousins. Those net-works provided an emotional and economic safety net for them in old age. But traditional family networks will no longer exist in 2050. We are at the end of both the nuclear and extended family networks. We are at the end of a time when the family will be known as a utilitarian value among black people. Whether it should be thought of that way or not is a moral issue. I believe family does have value. But all current evidence compels me to accept the fact that many black people no longer believe that families united by husband and wife have value worth preserving. Intersecting with the breakdown of family structure is the rise of poverty and poor physical and mental health among black women. African American women will begin to suffer staggering health problems as we move deeper into the 21st century. Another page in the fact book. Recently, the Center for Disease Control released a report which said in part that the overall health of African American women is deteriorating rapidly: “…Researchers say the issue has no single cause, but persistent poverty, inadequate healthcare and higher risk factors such as high blood-pressure, obesity and diabetes impact black women at a higher rate.” But there are wealth issues, too. Another study revealed that the median wealth for single black women is $5.00 dollars compared to 42,600.00 for white women between the ages of 36 to 49. That is correlated with decreased savings for retirement among seventy-two percent of both Generation X and Millennial African American females. 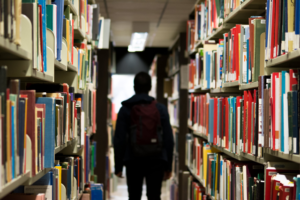 Many of them will still be burdened by college debt and cost of living expenses during their productive years, for those reasons they will not be able to save money when they are young. Their lives reduced in value to a repetitive act of trying without ever reaching security they will sink below the poverty line like ships hit by a torpedo. And there won’t be life-jackets to save them. Most black females will not inherit wealth from their baby boom parents because by 2024 the median value of assets or wealth held by African Americans is generally projected to be about $1,200.00 dollars compared to assets or wealth held by whites at over $122,366.00 dollars. There will be no major generational transfer of wealth among black people in general and black women in particular. Saving money for the future will be problematic for other reasons as well. Monetary inflation has increased on average about 3% per year for over 100 years. That means a dollar in your hand today will be devalued by three cents within a year and every year thereafter such that within 16 years that same dollar will have lost 50% of its current purchasing value. That means that the dollar today will buy less for you in 20 years. It means that the only way for you to keep up with the cost of living is to get at least a 3% cost of living raise in your income every year. If people have a fixed income or no income, then it will be impossible for them to keep up with the increasing cost of living. That means food and rental cost will be too much for them to afford. 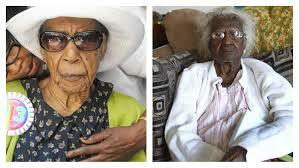 It means that most black women will be forced to eat junk food and live on the streets in their old age. Will there be ghetto options? 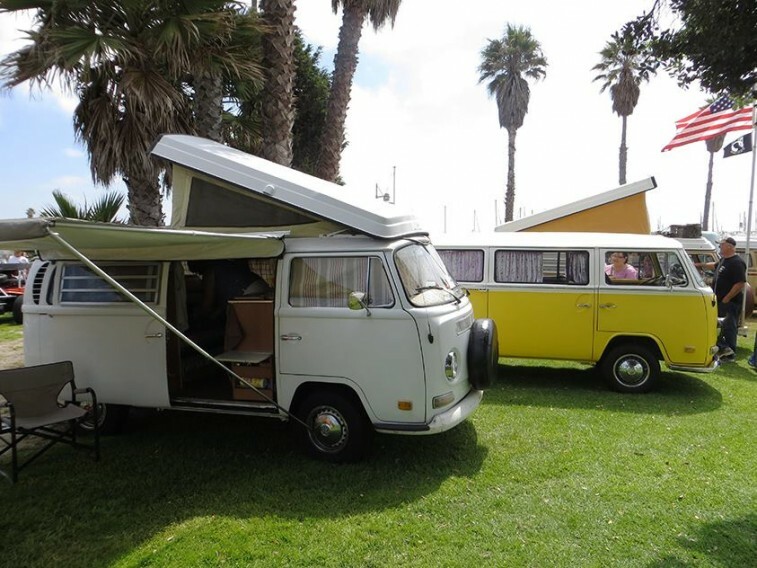 Maybe they will live in abandoned cars renovated to provide shelter. That will be sad. But by 2060, the masses will have no compassionate sentiment for black women because the masses will have adapted to their status as the underclass and will perceive black women as having no utilitarian value to society. They will show them no concern. The Number of Elderly is Rising: Who Will Support Them? As of 2018, there are approximately 50 million people over the age of 65. That number is expected to increase to 74 million by 2034 and 81 million by 2050. The question is who will support them financially? Debates are taking place now. Those debates will steer millions of black women down a track. Congress is debating the issue of the Dream Act or D.A.C.A. as I speak. The Trump administration wants to end the ‘chain policy’ which allows immigrants to bring family members into the nation. The Democratic Congress wants to keep that policy and allow millions of illegal immigrants to stay in the nation. Trump wants to build a border wall to keep illegal immigrants out of the nation. But Democrats know that without a continued influx of both legal and illegal immigrants there will not be enough low wage people to pay taxes. Without enough people in the active or working population to pay the necessary amount of taxes into social security, the Federal Government will face bankruptcy because it will be overburdened with the poor and its massive military expenditures as well as rising climate change costs. Just printing more money by the U.S. Treasury Department won’t remedy the problems because the amount of money issued to the aged will have very little purchasing power. If the Republicans win, they will allow social security to collapse under the colossal weight of millions of dependent people; given that scenario, most black women will lose everything. Many will die prematurely. White Supremacists will say ‘good’. If the progressives win they will increase state and Federal taxation on the rich and unskilled working population of immigrants. More companies will flee the nation. The result will be the spread of poverty. The government may restrict migration out of the country so that it can hold workers. Unskilled workers will be trapped doing low wage service and non-industrial kinds of work. They will be unable to keep up with the cost of living. They will be virtual slaves. Also, the Democratic think tanks are not factoring in the number of immigrant dependents and the burden that they will have on local, county, and state welfare systems nor the increasing cost due to global climate change damages that will occur regularly throughout the 21st century. Then it all falls apart. States and the Federal government will fight over taxation priority. But the Federal government will dominate the field. Consequently, many states will fall to the level of third world poverty for its lower-class citizens. In response to that, taxation burdens will grow from what it takes now to pay your taxes out of your annual income, about three months, to four months of your annual income. Consequently, if Democrats prevail, Congress and State legislatures will be forced to cut social welfare programs for the poor by at least 30%. Black women will be the big losers because the costs to State and Federal governments to cover the cost of climate change damages will take priority over their social needs. Family is a collective endeavor. Family is a business. Family requires the highest degree of unity between males and females to achieve material and spiritual success. Historically, family members have supported one another in a variety of ways. On the other hand, individualism is the polar-opposite of collectivism; individualism is the belief in self-interested promotion above all others. Family unity cannot be preserved nor success achieved between men and women if, at the same time, they are committed to individualism as a way of life. At some point in the past, both male and female descendants of slaves bought the notion and practice of individualism. The subscription to individualism has been a disaster for both. It has resulted in the destruction of family as we once knew it because family is no longer a meaningful practical way of life. Consequently, we have been atomized; involved solely in our own spheres of interests while the turf we share and stand upon evaporates beneath our feet causing us all to free-fall. Are there some viable choices which can be made now to avoid such a disaster? Unless we become more collectivist in our social relations, the fact book describes an economic free-fall as being the most likely fate for millions of African American females. 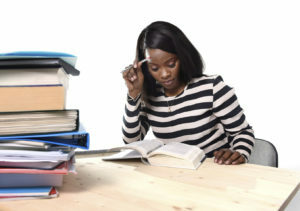 Thousands of Descendants of Slaves are beginning the new year in colleges and Universities throughout the United States. They will work hard to get good grades. They will study day and night because they respect the value of learning. They understand that they must prepare themselves to not only financially support themselves through the coming decades but to also represent a people up from slavery. They are sustained for years by their dreams of graduation and for a good life in the United States. But the matriculation rate of DOS has been very low. For example, in California “from 1994 to 2010, black acceptance rates dropped from 51 percent to 15 percent at the University of California at Berkeley, and from 58 percent to 14 percent at UCLA…” For those who do get admitted, there are yet more obstacles. Many of them will fail to graduate. They will fail for a variety of reasons. Sometimes they will fail because of personal drama, for others, they will fail because of poor health, and others will fail because of poor grades. some of them will drop out for lack of tuition money and living expenses. But there is a mixture of good and bad news. Yes, others will graduate. But they will graduate with a degree in one hand and with a ball and chain latched to their ankles. They will graduate with thousands of dollars in debt. They will graduate and walk into a virtual debtors’ prison. Then they will face the unknown. They will leave college or university with no guarantee that the degree they worked so hard to achieve will secure them a career in their chosen field let alone a livable wage. Some will return to their parents’ home and take up residence. Others, who have no family will be both educated and homeless. Whether living at home or being homeless those graduates will suffer the burden of interest costs which will swell their debt beyond an amount too large to be paid within a reasonable time. Are they alone? Or part of a community? A community bound by a common history and language. 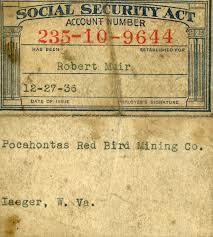 I believe that we are bonded together for life by both a shared history and language. I believe our bond is sacred. But there is a fact book we should open. There are facts we should face. One fact is that the context of social life and more specifically the context of our lives in the United States has changed forever. A changed context of life necessitates that we can no longer engage in past habits or customs which are at best ambiguous and at worst meaningless. We cannot afford to be caught between ambiguity and meaninglessness. We can all feel it because we are surrounded and being pressed from all sides. As individuals and as a unique ethnic community are we are left with very little room within which to maneuver. We know it and the world is looking; others know it, too. On all sides, hostile governmental policies and laws; hostile immigrant and ethnic groups who lack all respect for us press on us. Every other ethnic group is all too willing to step on our backs, profit by our pain, to lift themselves up and leave us behind. Whether in the form of civil injustice, unjust taxation or discriminatory hiring practices or outright murder on the streets we are more too often perceived as an expendable people. A people for them to mock and scorn. Should we change? Moral interests alone dictate to us that we should change. For over 100 years we have given and given and given our confidence and our precious little money to one organization, church, political party, demagogue, rouge street hustler, farcical teacher and clowns or gofundme scammers and yet at the end of the day all that we have been given back for our vested trust are unraveled promises revealing to us nothing but empty lies. Let’s make a new year’s resolution. I believe that we should resolve ourselves this new year to put our students first. We should resolve ourselves to individually select a college or university wherein there are Descendants of Slaves. We should do it without the mediation of any organization, church, Mosque, or person. We should contact Black Student Unions, African American Associations. We should randomly identify students who are descendants of slaves. We should then work out a way to give them what financial support we can to help them pay their tuition for as long as we can. Let this be our new year’s resolution. Let this be our cause of action. A cause worthy of our time, our energy, and our confidence. 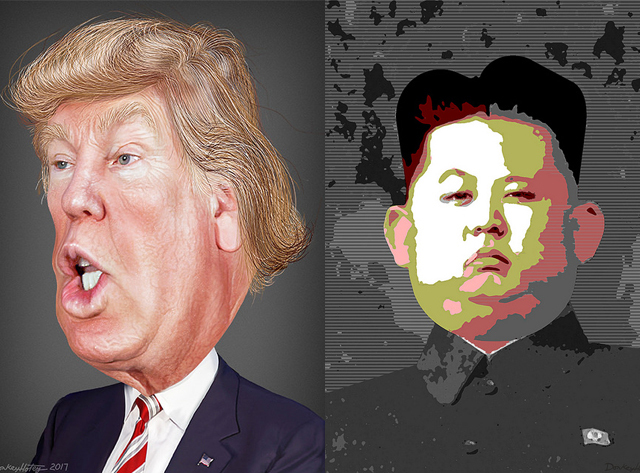 Despite the saber rattling by both the Trump administration and North Korea as of October 30, 2017, neither the Trump administration nor North Korea will start a conventional nor nuclear war. 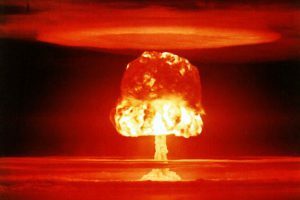 If a nuclear or conventional war does start, it is more likely that it would be triggered either by a human or technical error or caused by someone hacking a military computer to make it appear that one or the other nation has launched a pre-emptive nuclear strike. I predict that there will not be an intentional hot war with North Korea because neither the United States nor its allies can afford the manpower expenditure. For South Korea, the economic loss would be staggering if they were to engage in a war with North Korea let alone a global war with both China and Russia. Some experts believe that the Trump administration is on course for war with North Korea. But even though the corporate-owned mainstream media is profiting by fanning war flames to generate public expectation and collective fear that a total war with North Korea is imminent the opposite is, in fact, the case. There will not be a hot war requiring the use of millions of Amerian youth with North Korea nor Russia or China for that matter. The Trump administration will not go to war with North Korea for several reasons. 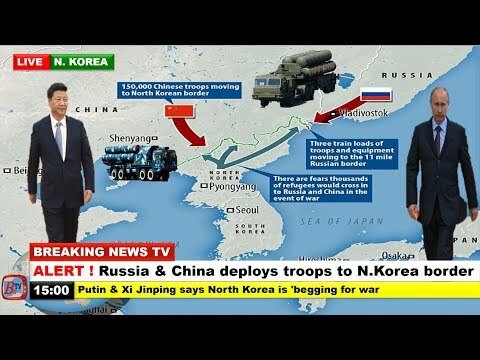 First, there will be no war with North Korea because it borders China and Russia. Neither Russia nor China will allow the United States to have military bases on their eastern borders. 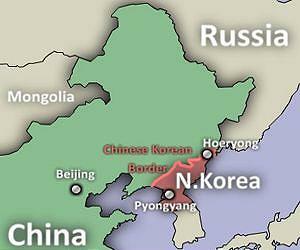 North Korea serves as a buffer for both China and Russia. Both the Russian and Chinese governments know that if the North Korean government is brought down, they would face the same kind U.S. sponsored military buildup on their eastern Asian border that Russia does on its western European border particularly in Ukraine. Secondly, there will be no hot war with North Korea because if a hot war were to start, it would inevitably cause China and Russia to support North Korea against the United States and its ally South Korea as they did during the United Nations Korean war in the 1950s. In such a case, South Korea would be the big loser. South Korea’s very successful economy and its companies like Samsung, Hyundai, Kia Motors, Daewoo would be destroyed and its population virtually destroyed. Japan, too, would be a loser. It would lose its major technological industries like Sony, Toyota, and hundreds of others. That would end Japan as a global economic power. The only economic winners in such a scenario would be U.S. multinational corporations. But the cascade of negative consequences wouldn’t stop there. There is yet another inevitable consequence which would ensue if the Trump administration is unwise enough to start a hot war with North Korea. Such a conflict would spread to a very socio-economically unstable Europe because Russia is also part of Europe. Furthermore, it would spread to what is left of West Asia, and eventually to India. Such a global war and the nuclear fallout which would result therefrom would literally bring about the end of human civilization as we have known it. 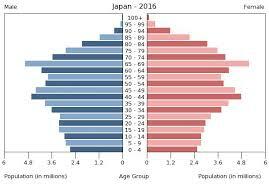 Also, there are social and demographic underpinnings in the United States and both South Korea and Japan which would make a nuclear or global conventional war with North Korea suicidal. First, let’s look at some demographic facts. Let me define bio-potential. Bio-potential is a measure of a group’s relation to all environmental pressures against it. In short, we should ask the question: Is bio-potential greater than, equal to, or less than all environmental pressures against it? The measure of a group’s biotic potential is the first indicator as to whether a nation can afford to go to war. When considering war, there is only one rational choice out of the three possible relations that a group can have with environmental pressures against it. The choice for war would have to be at a time when the biotic potential is greater than the environmental pressures against it. Along with other resources, wars cost human bodies; nations must pay that cost up front. Prior to monetary costs and industrial infrastructural stability and outputs in the form of war materials, there is the necessity for a nation to have a large healthy youthful population. I have two historical examples to support my claim. All empires that have arisen and fallen over the past 6,000 years were preceded by a population boom. They each had large healthy youthful populations and stable family infrastructures before their expansion. Prior to their rise, they each enjoyed high biotic potential in relation to low environmental resistance to their growth. Let me illustrate another historical example by referencing the Vietnam war. At the height of the Vietnam war, the United States fielded about 500,000 troops in Vietnam. The United States could afford such a human resource expenditure in Vietnam because of the baby boom generation. Between 1946 and 1964 between 65 and 70 million babies were born in the United States. Within the first 4 years of the baby boom or between 1946 and 1950, 17,637,358 babies were born. Those babies all came of age for the draft by 1968. My point is that the United States could have put up to and over 4,000,000 troops in Vietnam with no strain on its male human resources at home. The United States’ industrial and economic power at that time was at its peak. The biotic potential for the United State to engage in global conventional warfare was in surplus more so than at any other time in its history. It will never enjoy such a human resource surplus again. A surplus of human resources in the United States does not now exist. Two major reasons for the loss of human surplus in the United States have been the use of birth control contraceptives since 1959 and abortion since 1972. Abortion alone has accounted for a loss of approximately 50,000,000 U.S. would be citizens between 1973 and 2017. Half of those Boomer echo babies would have been male. The Baby Boom echo was silenced by law. The Baby Boom generation, the largest and most nurtured youthful and healthy generation in U.S. history, has passed its prime years as has the United States. We should contrast the cohort of baby boomers born between 1946-1950 with those babies born between 1997 and 2000. Between 1946-1950 there were 17, 637, 358 babies born. Assuming half were male, there were about 8, 818, 679 males of age for the draft. In contrast, there were approximately 15, 840, 678 babies born in the United States between 1997 and 2000. If we assume that half of those babies were male then there are about 7, 920, 339 of those babies who are now of age for military service in the event of a global war. That represents a difference of about 898,340 draft available males. Numerically, birth rate data today are misleading because that data suggests a moderately high biotic potential in relation to environmental resistance. However, environmental resistance to biotic potential in the U.S. is actually greater today. The numbers belie an important fact. Health conditions must be analyzed to demonstrate a qualitative difference between the Baby Boom generation and both the Millennial and Generation X generations. Both the millennial and generation X generations are plagued with both poor mental and physical health. The Pentagon reported that millions of them are physically and mentally unfit for duty. On June 29, 2014, the U.S. Army Recruiting Command’s commanding general at the Pentagon reported that: “7 in 10 Youths Would Fail to Qualify for Military Service … rapidly,” That is 70% percent of youth today that are unfit for military service. The United States is a nation which in 2016 experienced approximately 50,000 opioid overdose deaths many of whom are of those babies born between 1997 and 2000. There are millions of youth addicts in the United States ranging from alcohol, marijuana, cocaine, and opioids. They cannot be rehabilitated; “once an addict always an addict”. 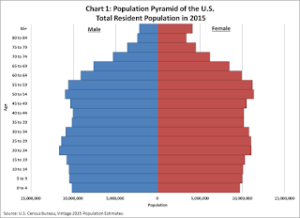 Given the Pentagon report, that would reduce the number of available youthful males from 7, 920, 339 available men to about 2, 376, 101. That number would no doubt be less because history proves that the upper classes will always find ways to prevent their sons from going to war. The indisputable fact is that the United States does not have the human resource capacity to wage a global nuclear or conventional war with North Korea let alone with both Russia and China. But there are other demographic reasons for that as well. Fertility rates are also an indicator of a nation’s biotic potential to wage global war. Neither the United States nor any of its allies have a fertility rate at what the U.S. Census Bureau defines as the population replacement level of 2.1 babies per woman between the age of 15 and 45. 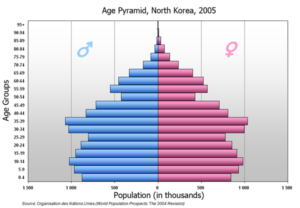 The United States’ fertility rate as of 2016 was 1.8, South Korea’s fertility rate is 1.2, Japan’s fertility rate is 1.4 and North Korea’s fertility rate is estimated to have been .4% in 2009. None of those nations have the biotic potential for a conventional or nuclear war with North Korea, China, and Russia. 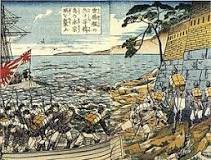 Both South Korea and Japan would be destroyed as nations were a war to start. 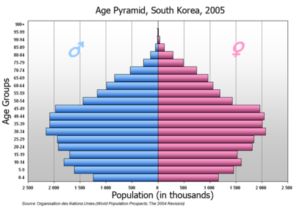 Given their low fertility rates there would be no possibility for those two nations to kick-start their economies again without a mass influx of immigrants who wouldn’t speak the Korean and Japanese languages and loans. That would cause mass cultural fragmentation in their respective nations and national debt. The United States would lose at least 2,000,000 men and women; that would be about the total manpower called up to serve in the armed forces in the event of global war. And in such a scenario, California and Hawaii would be lost to nuclear attacks costing the lives of millions of American citizens on the west coast of the United States. That would be too significant a loss of human resources for the United States and would result in a staggering monetary cost compounded by a national debt already at 20 trillion dollars. It would seal the end of the United States as a global power and a coherent nation. The United States would then have to withdraw its military bases from abroad to curtail civil chaos at home. For that reason, a decision by the Trump administration to move for a hot war with North Korea would be totally irrational. The only rational option for the Trump administration is political negotiation and peace. 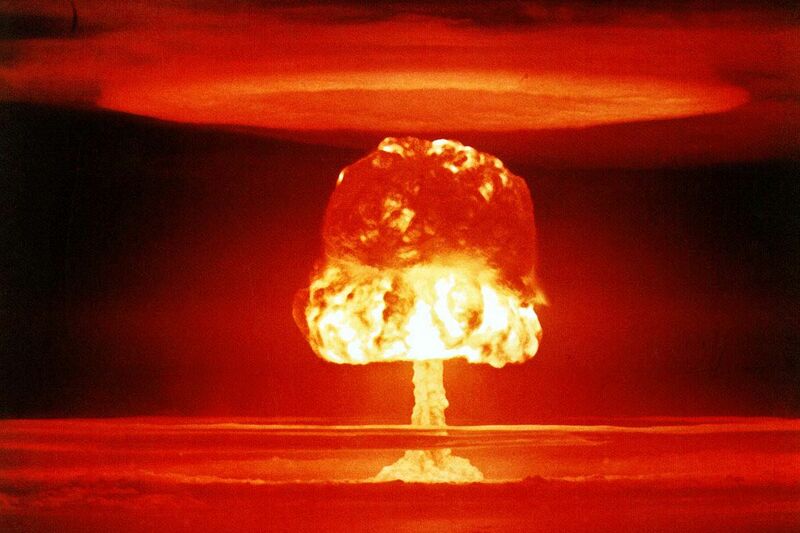 Russian leadership knows that another global war would lead to their destruction as a nation. Russia learned that lesson twice during World War I and II. For that reason, Russia will not start a war with the United States nor any other nation. It lost over 27 million people in World War II and it has yet to recover its greatly diminished biotic potential. 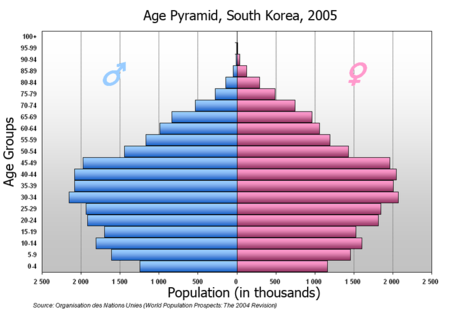 Its fertility rate is now about 1.6 along with China which is riding on the downward tail end of a youthful population. Furthermore with a growing elderly population in China and the need to house and feed many more elderly citizens a war would be senseless. Therefore, China will not start a war with any nation either. But both Russia and China can finish a war with their nuclear arsenals despite the fact that it would spell their doom. Not one of the nations I have mentioned can afford a war except for North Korea. Would engaging in a war with the United States and its allies be a rational decision for North Korea? Relatively speaking, yes, it would be a rational decision for them. Why? Because North Korea has nothing to lose and they know that a war would reshuffle the global power playing deck. North Korea has had very little socio-economic pleasure for its people in over 100 years dating back to the Japanese invasion of their homeland in 1910 until 1945. Remember also that North Korea was bombed by the United States literally into the dirt 64 years ago during the Korean War. That is one reason North Korea will not negotiate with the Trump administration because they have nothing to lose. They know that they have the power to end it all. That makes North Korea more powerful than any other side in the present contest because the only long and short-term losers will be the United States and its allies because they have more to lose. And, if Russia and China engage in a global war on the side of North Korea, they would be losers as well because they too have more to lose. One last indicator that supports my thesis that the Trump administration will not attack North Korea unless there is an accident is that the power elite enjoy pleasure. Currently, the United States and France are re-instituting direct physical colonial rule over west African nations. The U.S. and France or more accurately the global financial institutions which control both the U.S. and France are competing with China in Africa. Their interests in Africa is long term and for that reason gives their hand away regarding the contest with North Korea. War for global financial institutions is an anathema. Currently, under the U.S. African Command, the United States has hundreds of military bases throughout Africa. Military strikes are being carried out daily throughout Africa. Their targets are organizations which are challenging national debt slavery and corrupt neo-colonial plantation structures set up by Western European nations. 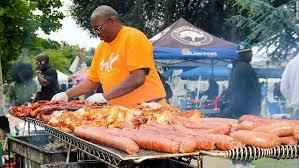 This has occurred in the wake of African independence movements beginning after World War II. Donald Trump in a recent speech bragged that his friends were getting rich in Africa and thanked West African leaders for making that possible. The major corporate powers do not want war with North Korea for that reason. It would weaken and possibly end their efforts to control resources in Africa, make money, enjoy their power, and perpetuate debt slavery in Africa. One last point. The military strategy which failed in Vietnam is to hire mercenaries, command the militaries of other governments with U.S. officers and by financially rewarding corrupt African leaders. The point is to allow foreign mercenaries to absorb the biotic, social, and cultural meltdowns. After all, most African nations have tremendous bio-potential for war in the form of the highest fertility rates in the world. However, it is a sign of American weakness not of strength. The flaw in that kind of reasoning is simple and proven historically. Most of the indigenous people hate the United States. Their ranks are filled with spies for the opposition and every move made by U.S. troops will be signaled in advance to opposition forces. The Roman Empire applied the same tactics when its biotic potential to wage war and man fortifications throughout its empire was depleted. Hadrian built a wall; it didn’t work. The Caesars hired mercenaries; it didn’t work. 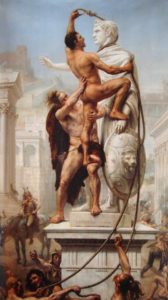 Near the end of the Western Rome Empire, one of their trained mercenaries, the Visigoth Alaric, sacked Rome in 410 A.D. With one hit, it was over. After that, the western Roman Empire was plucked like a fat chicken. The United States, France, England, and Israel are all too willing to supply African governments with the military arms and equipment they need to keep them in chaos. And if African mercenaries or government troops fight to further the purpose of western multinational corporate and financial institutions the western European nations will reward them. But Africa is a big continent capable of swallowing up whole empires. Implicit in that slogan, though, is the unadulterated truth. The truth is that he cannot fight another round let alone another fight; the U.S. empire is over. The sad fact is that everybody knows it but most U.S. citizens. Physician On Call: K.C., M.D.